Here's a quick little project we whipped up in our studio today. We've been doing a little decorating and these lace covered pots look so pretty in a group. Do you want to make your own set? 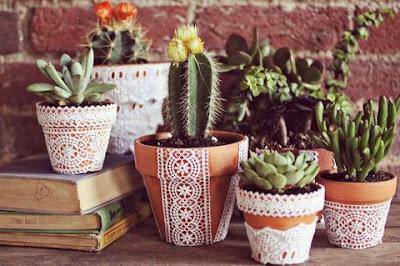 This DIY is so simple it doesn't even really need these photos, but just in case... 1. 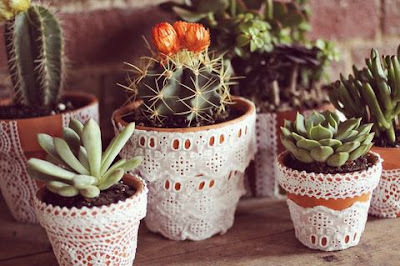 Supplies Needed: Lace, Glue, Scissors, Terra Cotta Pots, Plants. 2. Brush glue all over your pot. 3. 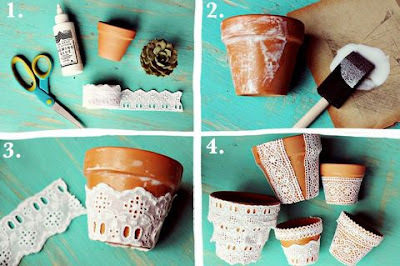 Adhere lace and then brush an extra layer of glue over the top to seal. 4. 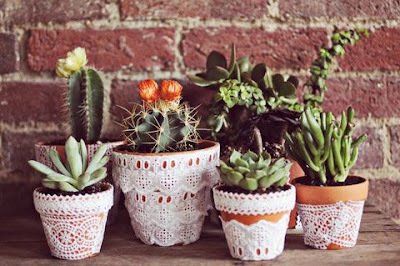 Allow your new pots to dry completely before you use them.